Looking to try the top food trucks around? Topping the list is Detroit 75 Kitchen. Located at 4800 W. Fort St. in southwest Detroit, it is the highest rated food truck in the city, boasting 4.5 stars out of 124 reviews on Yelp. 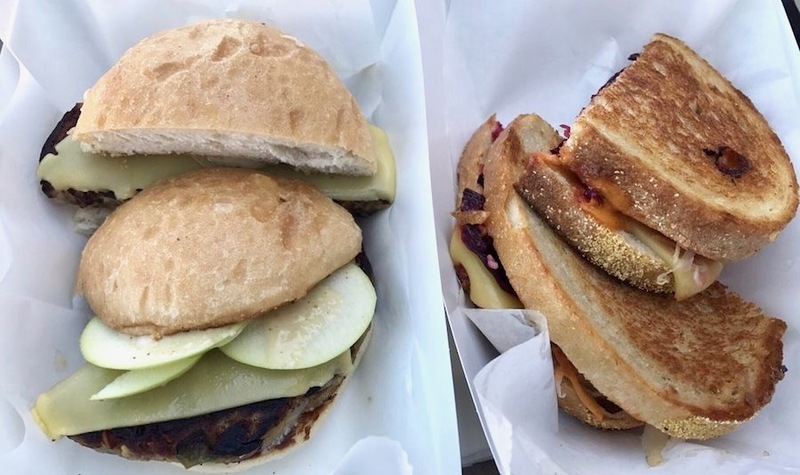 Known for its artisan sandwiches, Detroit 75 Kitchen was named the city’s top food truck by Local 4 news and Best Business Detroit in 2015 (the same year it opened). 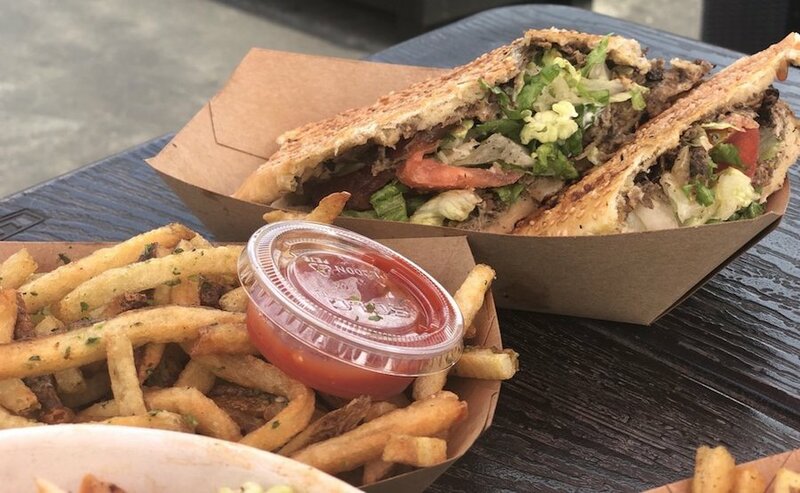 The stationary food truck offers many specialty sandwiches, grab-and-go bites and fries. Choose from a list of signature sandwiches like the Friday special, the Fisher Fwy Fish sandwich; it’s made with fresh market fish, sweet pickled onions and house-made Old Bay tartar sauce and served on a toasted bun with fries. There are also smoked wings, garlic cilantro fries and barbecue chicken egg rolls. Next up is Mac Shack, situated at 1227 E. Ten Mile Road. With four stars out of 86 reviews on Yelp, the food truck and New American spot has proven to be a local favorite. 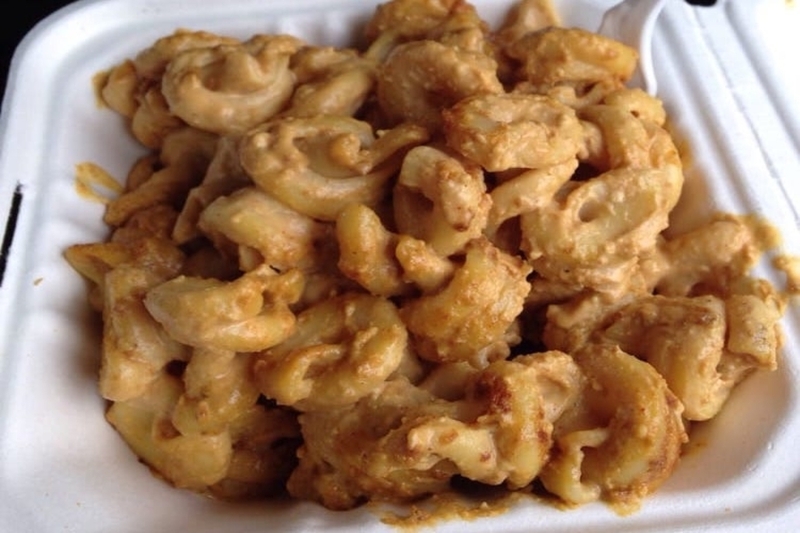 Since 2012, Mac Shack has been offering its own take on macaroni and cheese. The food truck can frequently be found in Eastern Market, Campus Martius Park, Royal Oak Farmers Market and Detroit Fleat Food Truck Park in Ferndale. The mobile eatery offers several variations on classic mac and cheese. Look for the Bacon Made Me Do topped with applewood-smoked bacon, fresh tomatoes and green onions; or the Cluck Like a Buffalo with spicy chicken, green onions, blue cheese and Buffalo sauce. Finally there is Nosh Pit Detroit, a food truck that has a brick-and-mortar eatery at 2995 Yemans in Hamtramck. It is another top choice, with Yelpers giving it 4.5 stars out of 25 reviews. Specializing in vegan and vegetarian fare, it was recognized as one of the best vegan food trucks in the nation by Mobile Cuisine, according to the truck’s website. Look for sandwiches like The Denise, made of lentil sloppy Joe and served on an Avalon Bakery roll and topped with Detroit’s Better Made potato chips. Pair a sandwich with any of the available soups offered such as the shakshuka, which is spiced tomato stew with cumin, caraway, cinnamon, turmeric and smoked paprika. Hoodline crunched the numbers to find the best food trucks in Detroit, using both Yelp data and our own secret sauce to produce a ranked list of where to venture when you’re craving food on the go.